Napoli are planning a move for Felipe Anderson. 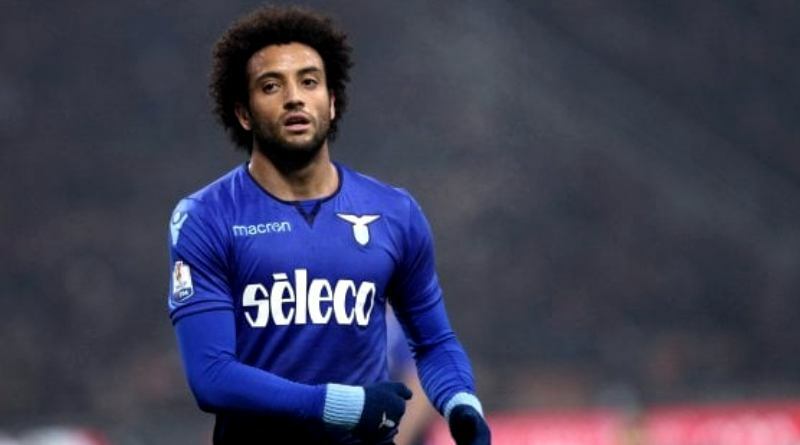 According to the football transfer rumours in Italian media (Calciomercato), Napoli are set to sign Lazio attacking midfielder Felipe Anderson. The Brazil international joined Lazio from Santos for a fee in the region of 7.5 million euros in July 2013. His contract expires in the summer of 2020. Since his arrival from Santos, Anderson has scored 29 goals and provided 34 assists in 158 games for Lazio, including three goals and two assists in 13 games in all competitions this season. Felipe Anderson has represented Brazil at Under-20 and Under-23 level, winning 13 caps and scoring four goals, before making his senior international debut in June 2015. As a member of Brazil national football team, Anderson won one cap. The 24-year-old is one of the more likely players to be offloaded by Lazio this summer and the list of suitors in the Brazil international continues to grow. Napoli have built a reputation for recruiting young talent, predominantly targeting those with sell-on value and immense potential. Maurizio Sarri is a long term admirer of Felipe Anderson and believes he can get the most out of the Brazil international. Anderson’s tricky dribbling, fantastic shot and pace make him a nightmare for any defender to defend. Lazio are preparing to sell their attacking midfielder should they receive a massive offer for him. Signing the 24-year-old would be a masterstroke from Maurizio Sarri. It will be interesting to see what happens when Napoli come calling for Felipe Anderson in the summer.